Did you notice.....Spring is here! 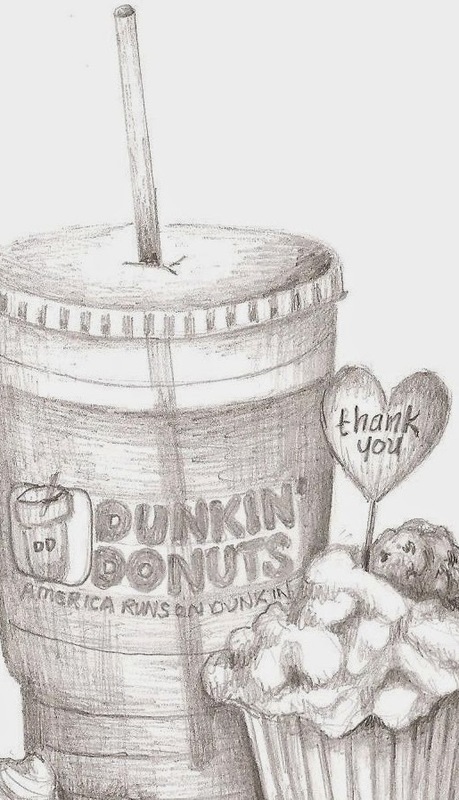 Wedding season arrives with Spring, along with Memorial Day, sunshine, flowers and iced coffee (big iced coffee fan). I went to Pennsylvania for the Memorial Day weekend to visit with family and set up a table at an outdoor event. I sold prints and cards, I made some Art connections while I was there and had a great time with my family. I always have a great response to my card line when they are seen in person. They aren't responded to as well online because I'm having a very hard time photographing them well enough to show the beauty of the cards. 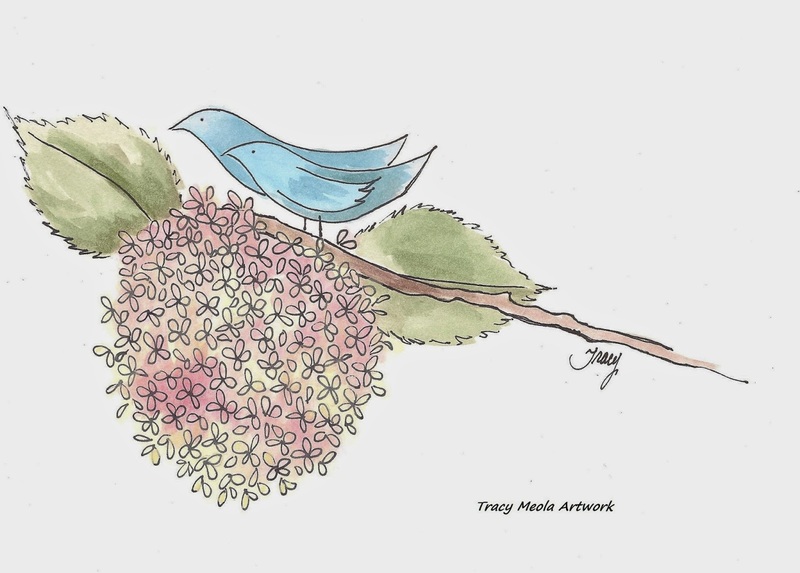 Most of the art that I completed this month had to do with drawing and my greeting card line. I've been toying with a few cards that are colorful and not just the gray graphite. I created this Love Bird Artwork to try in the card line. I printed the Love Bird Artwork on to a card. 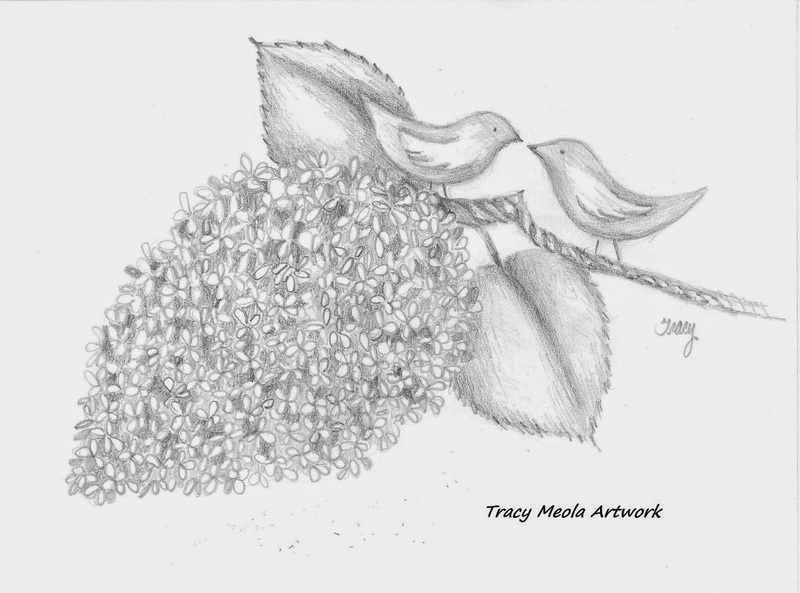 This design makes a great Engagement card, Wedding Shower Card or Wedding Gift Thank You card. I use the sentiment "The Love Birds Thank You" or "For The Love Birds" depending upon which type of card is ordered. With Memorial Day on the brain, I created this happy and fun scene below and turned it into a card that could be used for many occasions. 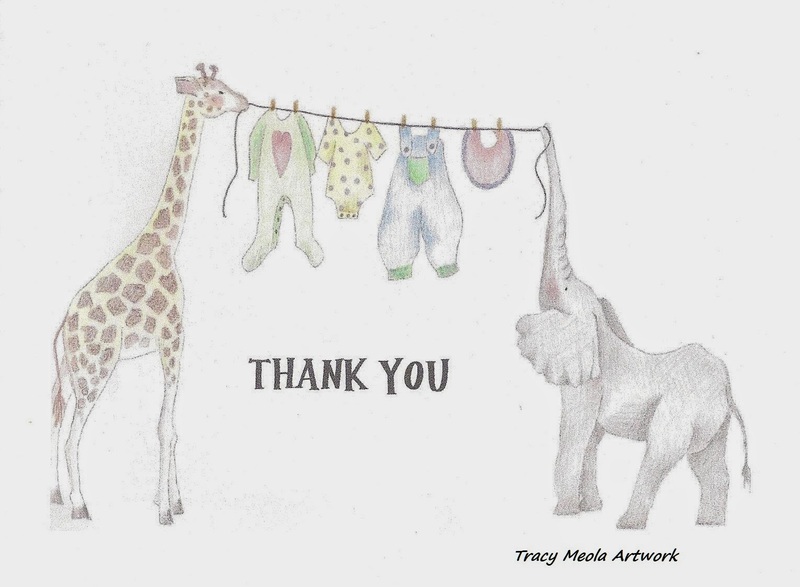 This colorful artwork was created for a Baby Shower or Baby Gift Thank You Card. This is my latest graphite card. It was designed by request for a Wedding Thank You. It could be personalized with names: Vic and Tracy in the top left corner and Thank You in the lower right, or Thank You in the top left corner with Vic & Tracy Meola in the lower right. It can also be used for a Shower Card (no sentiment), an engagement card (pictured) or Congratulations on your Wedding!